Not only is Barcelona a popular European city, it's also an excellent base for exploring Catalonia, the Pyrenees, and Spain’s neighboring countries. If you're looking to get out of the city for a day, consider these top day trips from Barcelona. 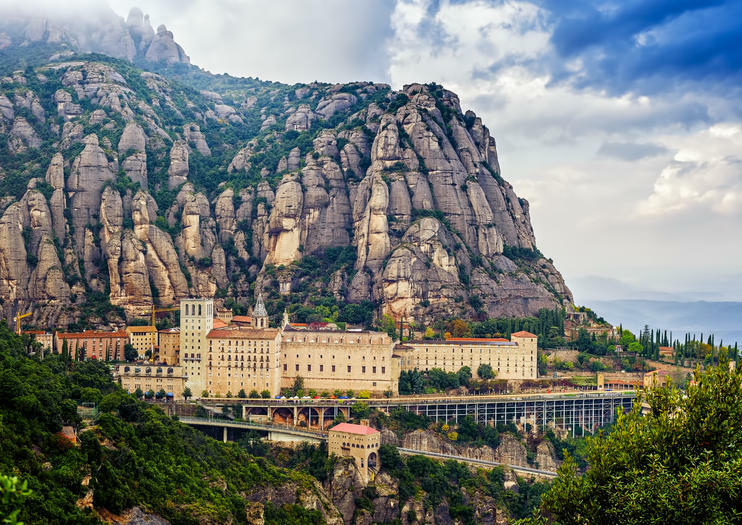 The dramatic mountain of Montserrat, famous for its wind-sculpted rock formations and Benedictine abbey, is one of Spain's most popular pilgrimage sites thanks to the Black Madonna statue housed within. Combine your day trip to Montserrat with an afternoon of wine tasting at nearby cava-producing wineries. The quintessential Catalan city of Girona sits at the confluence of four rivers. It's compact medieval old town remains largely intact, with an imposing hilltop cathedral, cobbled streets, and walkable city walls. Girona is also one of Europe's top food cities, home to numerous Michelin-starred restaurants and other fine dining establishments. Its location near the Costa Brava makes it easy to visit the town in the morning and hit the coastal highlights in the afternoon. Within the UNESCO World Heritage site of Tarragona, you'll find Roman ruins (including a seaside amphitheater), sandy beaches, excellent museums, a Gothic cathedral, and plenty of top-notch places to eat, all within the walkable medieval center. A day trip here could include a stop at the seaside village of Sitges or guided visits to the Diocesan Museum and the Cloister. Stretching along the northeastern coast of Spain all the way to the French border, the Costa Brava (rugged coast) ranks among the nation's most scenic coastlines. A day trip to this area often includes stops at coastal towns such as Cadaques, Begur, or Calella de Palafrugell, with plenty of time to sink your toes in the sand or take a dip in the sea. Day trips to the Costa Brava often last upwards of 11 hours. Lace up your hiking boots for a day in the Pyrenees Mountains of northern Spain, southern France, and Andorra. For the bucket lister, it's possible to visit all three countries in a single day trip, with stops at the French spa town of Ax Les Therms, the capital of Andorra, and the Spanish mountain town of Baga. Due to travel times, day trips to this region can last upwards of 11 hours.